Fictional detectives based in Wales are a rarity and although we have a long literary tradition here very few authors have used the crime genre. 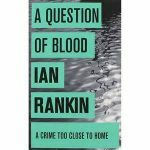 Scotland has led the world in producing crime writers – Ian Rankin and Val McDermid are two brilliant examples but Wales, despite being a nation of almost three million people has lagged behind. 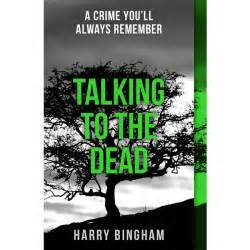 This post could go on at great length about the possible reasons for this paucity in genre fiction but I wanted to share with you my review of Talking to the Dead by Harry Bingham. His fictional creation Fiona Griffiths is based in Cardiff and she is a rookie detective constable. The first novel in the series is part all action hero, part police procedural, part intense reflective narrative but more than anything it is driven by Fiona Griffiths’ character. She’s feisty, troubled, driven, anxious. The book is written in the first person and I know how challenging that can be having written the Inspector Marco series in the first person. We see everything from the perspective of Fiona Griffiths and sometimes it can be a challenging place to be. Fiona is an interesting and compelling character and whilst not immediately likeable she most certainly grabs the reader’s attention. There are large sections where dialogue is absent and the fact that Talking to the Dead is able to capture the imagination and the reader’s attention is a credit to the strong writing. The story begins with the discovery of the body of a young child in horrendous circumstances. The work of Fiona Griffiths and the team in which she is a part takes them into the world of human trafficking, prostitution, drugs – a typical background to a classic crime thriller. Harry Bingham makes this book different by using the character of Fiona Griffiths to show us her world view, share her anxieties, support her challenging her superiors. The fact that Fiona Griffiths is a detective constable and not a detective inspector, which is the normal rank for most fictional police officers, never got in the way of my enjoyment of the book. It is because she is such a strong character that we suspend our disbelief (one that I sometimes find hard to do when the real-life conventions of policing are stretched to breaking point) and simply enjoy the pace of the narrative. The absence of dialogue can slow the pace of the novel but after a few chapters I simply didn’t notice and was carried along by the strength of Fiona Griffiths’ character. Talking to the Dead has a great sense place and it was enjoyable to read a novel based in Cardiff. It made me wonder what Inspector John Marco would make of Detective Constable Fiona Griffiths – perhaps one day they’ll meet! Scotland has its own Tartan Noir and I wonder whether the next few years we will be able to look back and say that Fiona Griffiths contributed to the development of Dragon Noir and established Wales’ position on the crime writing map of the world.